Creating group with multiple raid-quest names bypasses validation. Is the kick function macro-able ? 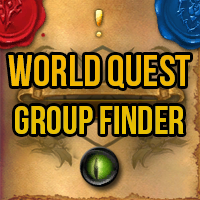 Feature Request: TomTom Waypoints to a World Quest / remove the waypoint after WQ finished!